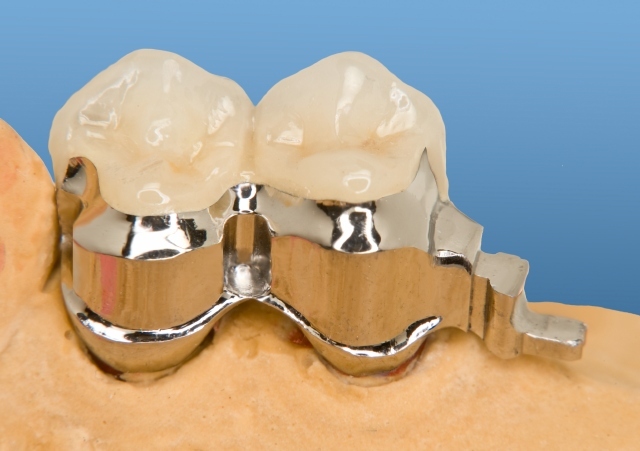 The fixed primary unit is attached externally to the crowns or bridge. I have used the multiSafe key-slides of the Degudent company here as an example of key-slides. They can be obtained from various sources. 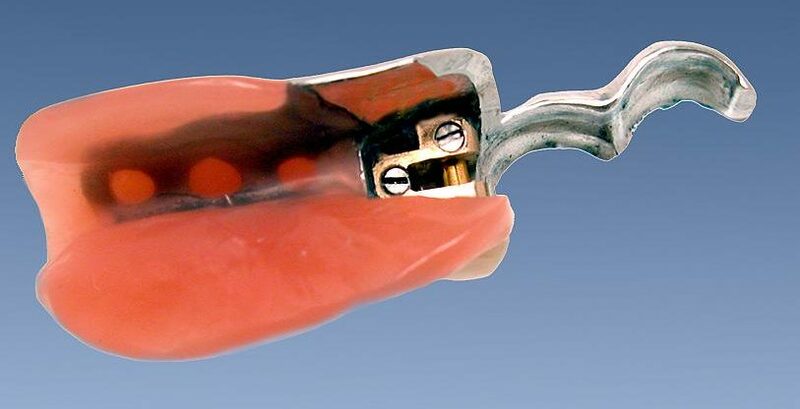 The multiSafe is an extra-coronal fixing-, supporting- and connecting element. 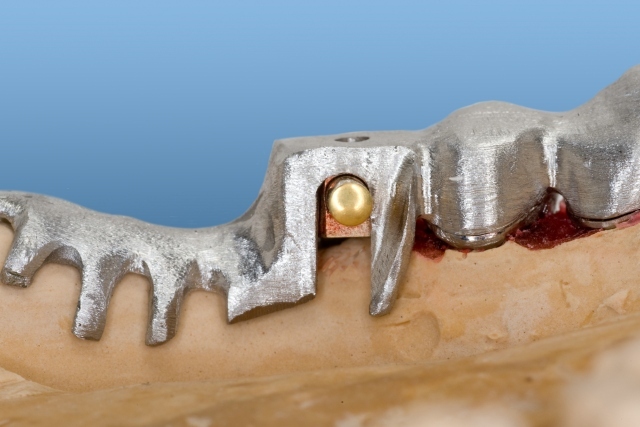 The multiSafe is used ideally for monoreductors, partial prostheses and supra-constructions of implants. 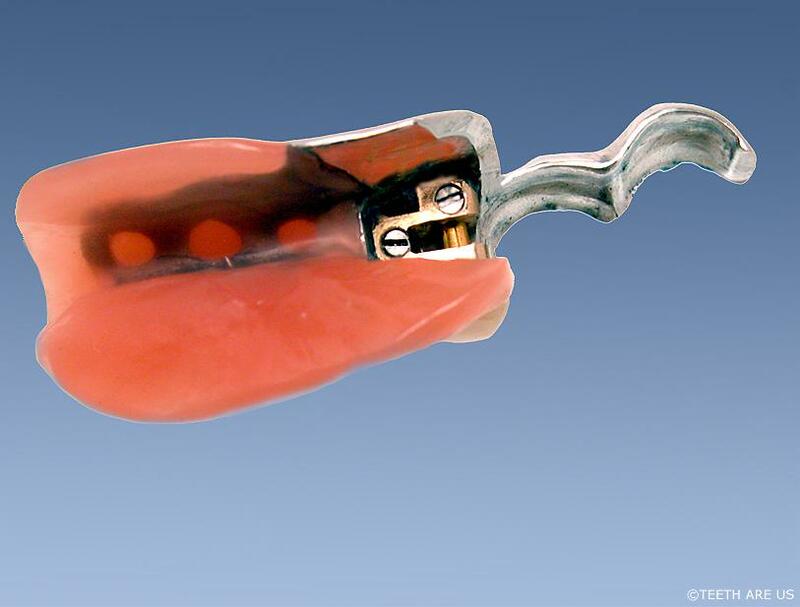 A monoreductor is primarily used to replace a maximum of two missing teeth in order to avoid an overstressing of the abutment teeth and the slide by pressure and torsion during chewing. be pressed briefly onto the gingival tissue through chewing to find its support. One should take advantage of all anatomical aspects in order to prevent a gradual compression of the saddle. One must ensure a 100% secure bolting of the monoreductor in situ. Otherwise the small size could present an aspiration hazard! 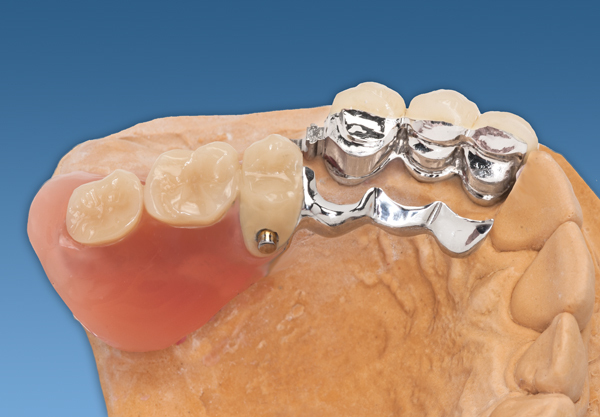 Regular checks of the denture base and the abutment teeth as well as the lining are very important. This way, the saddle does not lie hollow and possible damage is avoided. 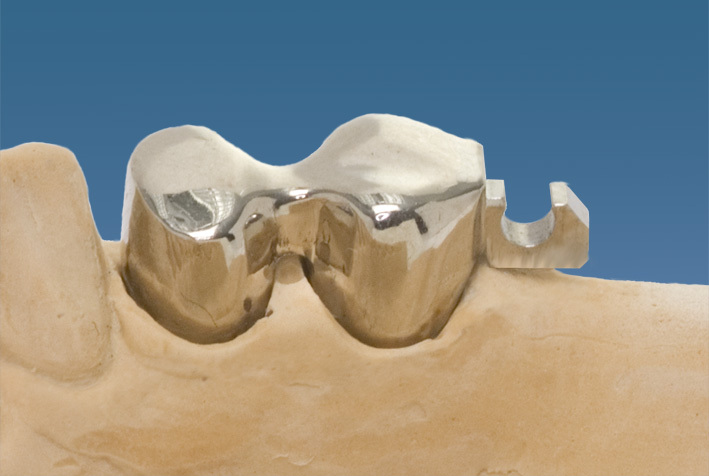 Treatment of the terminally present teeth with blocked metal-ceramic faced crowns (primary blocking) in which a horseshoe shaped groove is created in each crown permits the coupling to the removable part. 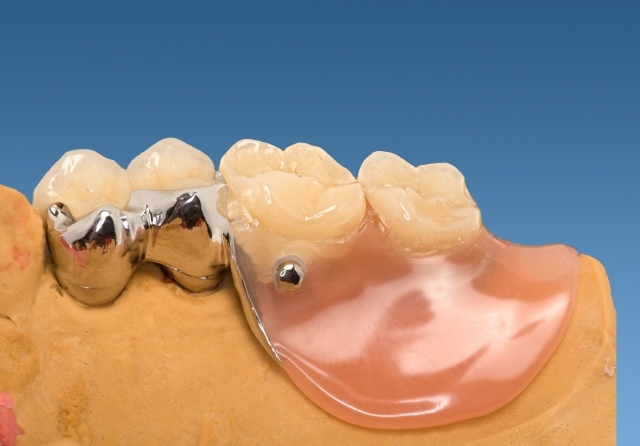 Note: With difficult space constraints the bridge element can be attached as a ‘Pontic’; the leverage on the bridge abutment is not altered; the aesthetic and constructive advantages are a benefit for the whole denture.